An awareness of the many conditions that cause an increase in thirst and urination help pet owners spot clinical signs before a disease takes hold. Early detection makes it easier to regulate or treat successfully. Diabetes insipidus is one of the many diseases in the dog causing such problems. When the word “diabetes” is mentioned the first thing that comes to mind is sugar diabetes. Most people know or know of someone that has sugar diabetes. Pets also develop this identical condition. Sugar diabetes is known as diabetes mellitus. It is associated with insufficient insulin production. This condition is associated with excessive blood sugar (hyperglycemia) and concurrent sugar in the urine (glucosuria). Diabetes insipidus is a type of diabetes having nothing to do with sugar metabolism. Its main cause is an insufficient amount of anti-diuretic hormone (ADH) produced. One of the most important parts of the brain is the hypothalamus. This crucial organ is right in the neighborhood a few inches above the hard palate of a dog’s mouth. It is here where the body’s main thermostat lives. It is where the vomiting center lives. It is also where anti-diuretic hormone is produced. This hormone is then stored in a reservoir, to be used as needed. This reservoir is known as the posterior pituitary gland. In all mammals the posterior pituitary also stores oxytocin, the hormone that stimulates uterine contractions and stimulates milk let down (lactation) in females. Diabetes insipidus is not as common as diabetes mellitus. Lack of anti-diuretic hormone can be due to insufficient production or storage (neurological). On the other hand there may be adequate production but the kidney is not able to use it due to many kidney disease processes (nephrogenic). Let’s put this into real life perspective. Drinking any type of alcohol causes a temporary inaction of anti-diuretic hormone at the level of the kidneys. The hormone stops absorbing water from the kidneys and all that extra water is dumped into your bladder. This is why you have to urinate more after drinking any type of alcohol. If you are dehydrated, drinking alcohol will dehydrate you even faster due to the lack of this hormonal effect. Imagine if you had to deal with this problem continuously! This is what all dogs with diabetes insipidus have to go through. The hallmark of diabetes insipidus is an excessive drinking of water and excessive volumes of urine produced. If you notice either of these signs does it mean your pet has diabetes insipidus? Not necessarily. It is one of the many causes of increased thirst in dogs and cats. The important thing is to be aware of any condition that can cause these signs so that you seek immediate medical attention. It is a rather easy disease to diagnose. The main difference between sugar diabetes and diabetes insipidus is that blood sugar levels are normal in diabetes insipidus and elevated in sugar diabetes. No sugar is present in urine with a dog diagnosed with diabetes insipidus. 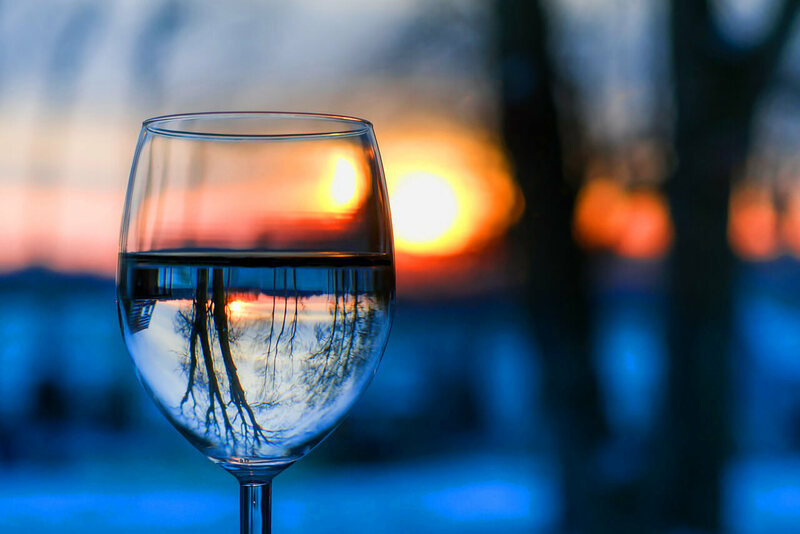 What is produced by the kidneys is a urine that is almost like the water seen in the wine glass pictured above!! It is not concentrated whatsoever due to the lack of the anti-diuretic hormone. This is why a urine sample is important to take along to your veterinarian’s office. WHAT CAN MY VETERINARIAN DO TO HELP? Your veterinarian is going to want to give your pet a complete physical. Historical findings are also important to differentiate this condition from something as simple as urinary incontinence in an older spayed female dog. Blood work will be performed which will rule out: diabetes mellitus, liver disease, Cushing’s syndrome and chronic renal disease. One of the easiest tests to perform on any dog suspected of having diabetes insipidus is the water deprivation test. This is very straight forward and performed in a medical office. In normal mammals if water is withheld for 8 hours or so the urine produced will be concentrated. This is how the body works normally. In absence of drinking water the kidney does its best to conserve fluids. If water is withheld on a dog with diabetes insipidus the concentration of the urine does not change. Water has a specific gravity of 1.000. Urine in these cases is about 1.003!! Almost pure water! There is no cure for either type of diabetes. Both can be controlled and regulated with appropriate therapy. Diabetes mellitus is controlled with daily insulin injections. Diabetes insipidus is controlled with regular dosing of synthetic anti-diuretic hormone (desmopressin). This can be injected or administered by instilling intranasal drops containing the drug. The prognosis of diabetes insipidus depends upon what is causing it to begin with. If it is due to adequate production but insufficient renal functioning the prognosis is guarded. Neurological cases usually do well. Staying on top of the pituitary and hypothalamus size via imaging is the best way to do this. Then again there are the cases that show up that often confounded me. They were not associated with any type of sugar or anti-diuretic hormone issue whatsoever!! These particular animals had a psychological issue involving excessive water intake not hormone issues!! Drinking water in excess will produce a dilute urine. This is physiological and called osmotic diuresis. Veterinarians get thrown curve balls every day. The psychogenic cases can be handled by veterinary behaviorists.